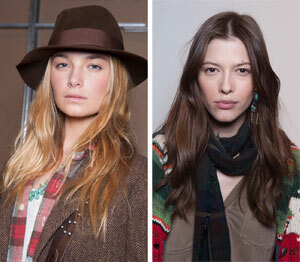 Two simple yet sophisticated looks were presented at the Ralph Lauren runway show during NYFW. Redken Creative Consultant Guido created two different syles for American designer Ralph Lauren's Polo and ready-to-wear collections - the former a more downtown, relaxed look, and the latter a chic and stylish pony. 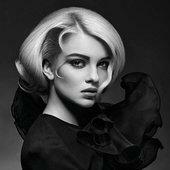 Both were classic looks for a classic designer, and both were created using Redken's blowdry products. "For the Ralph Lauren collection look, I used satinwear 02 prepping blow-dry lotion to give the hair a silky, luxurious finish," says Guido. "It was a classic Ralph Lauren ponytail that perfectly contrasted with the more natural, uninhibited style wo by the model for the Polo line."